Do you regularly eat bacon? We know, bacon and eggs for breakfast is maybe a culture you live in. The heavenly smoky taste of bacon is maybe even the reason to wake up for some other people. Not only as breakfast food, some bacon lovers may even eat it as snacks. But do you even think why not every one on earth don’t enjoy this delicious food? While the fact is, pigs can easily be found on every corner of the earth, so it is pretty easy to find bacon actually. So, why don’t they eat this savory meat? There are some religions that prohibit its believers to eat bacon, and pigs in general, like Islam and Jews. Well, they have their own reasons to do so, but for other people, actually there are some reasons why they choose to not eat bacon. Here are five main reason why people don’t eat bacon despite its availability and taste, based on a video shared by Plant Based News Facebook Page. 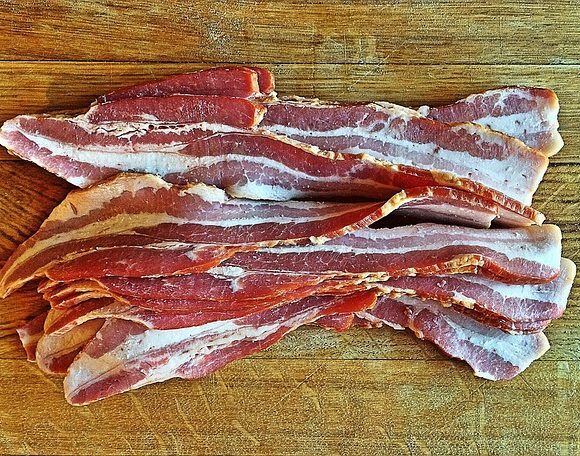 Eating bacon means eating a kind of processed meat. Like any other processed meats, it contains less nutrients than unprocessed meats. While in the same side, processed meats mean that the meats were being processed and may develop chemicals substances, sometimes dangerous chemicals. Even the World Health Organization declared processed meat, including bacon, is carcinogenic. It means that processed meat may harm our health in the same risk as other dangerous carcinogenic like tobacco, arsenic, and pesticides, the risk of cancer. International Agency of Research into Cancer (IARC) conducted a review of 800 studies about processed meat, and the result told the same fact. They found “sufficient evidence in humans that the consumption of processed meat causes colorectal cancer”. 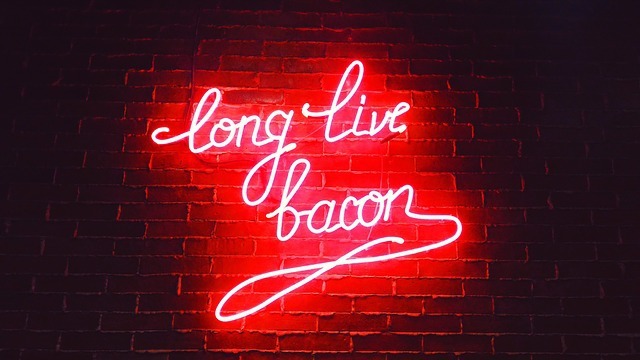 In the review of studies, IARC declared that the consumption of two strips of bacon (50 grams of processed meat) a day will increase the risk of developing colon cancer. 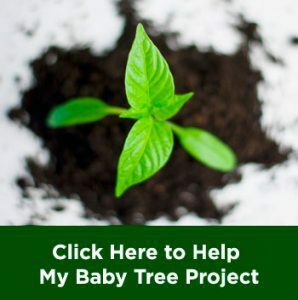 The risk may increase by 18% of the consumption is done on daily basis. 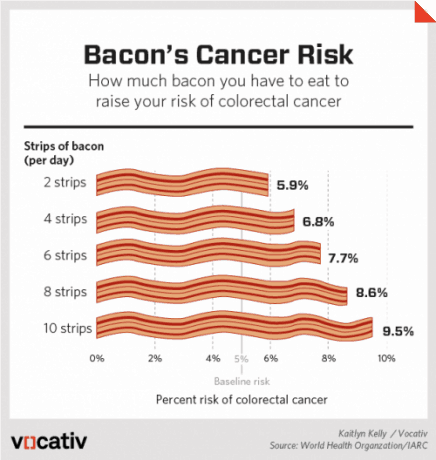 But wait, it doesn’t mean that by eating two strips of bacon will increase the risk of colon cancer directly. 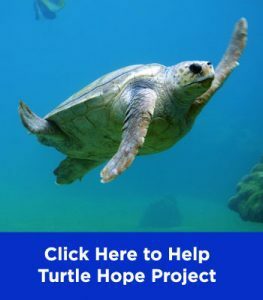 Research put our main cancer risk at the number of 5%, for just living on this current day earth. And addition 18% means that it will add 0.9% the 5%, making it 5.9%. However, isn’t it better to reduce the risk rather than increasing it? Casey Dunlop from Cancer Research UK have some tips for you, “Our advice on diet stays the same: eat plenty of fiber, fruit and vegetables; cut back on red and processed meat, and salt; and limit your alcohol intake”. In United State of America, pigs are often raised in factory farms. Apparently, about ninety seven percent of those pigs are raised in factory farms. In the farm, they live in a crowded environment, too crowded to allow them do their natural chores. Like human, living in a crowded place will raise their risk to catch a disease. To prevent that, pigs are often forced to consume and being injected with drugs, just to keep them alive until they are brought to slaughterhouses. Not only that, the condition in the farms often so inhumane that some call it as a “hell”. They live on their manure, feces, and vomit, even sometimes they have to cannibalize the dead bodies of other pigs. 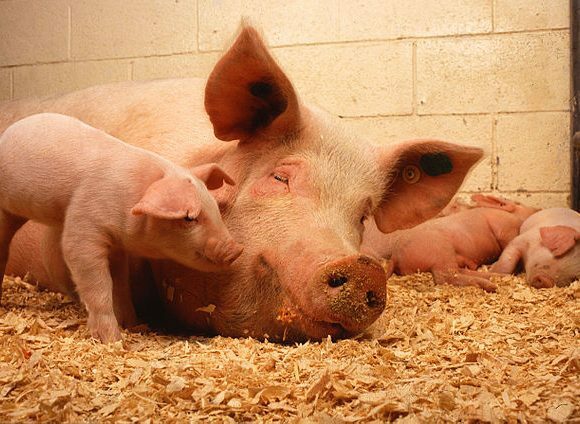 While for the mother pigs, the condition is not less inhumane. They are being forcibly impregnated continuously until they are brought to slaughterhouse. 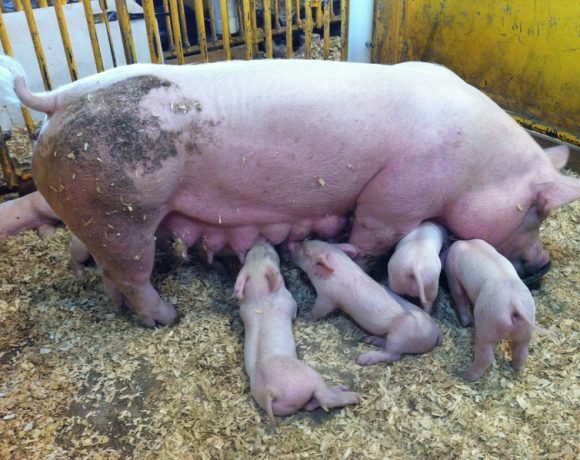 After the piglets are born, the mother pigs have to breastfeed them in a tiny crate, too tiny for them to even move. Not only acting as a carcinogen, bacon often come from a pig who were bred in a farm like mentioned before. Thus, to keep the pigs look healthy, big amount of antibiotics were injected to the animal to prevent diseases. Indeed, it might keep the pigs alive in the farm and physically meet the standard of slaughterhouse. But in further future, after the pigs have been cut into tinier bits of meats, another risk lurks in the bacon strips. The antibiotics injected into the pigs may cause some of the diseases evolved into antibiotic resistant diseases. And when the meat of the infected pigs gets consumed by human, it will cause an antibiotic resistant disease, harming the body of ourselves. 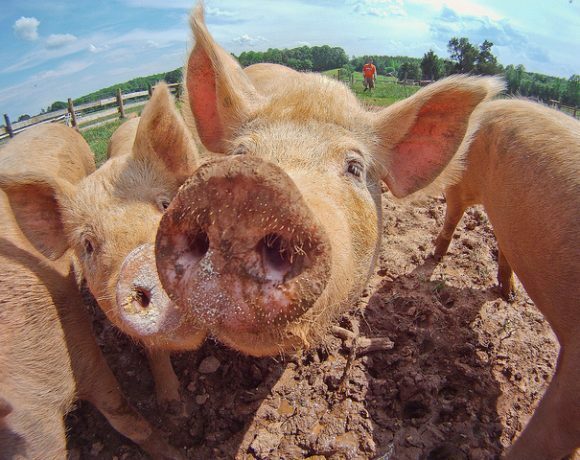 Not only for the pigs, the farm may also be harmful to the environment. We are not talking about conventional pig farms where the pigs are raised by heart, but those factory farms where the pigs are counted as money in the pocket. The factory farms often contain a large amount of pigs in their farms, producing huge amount of waste in daily basis. The waste is often just flushed away into an open sewage that is dangerous for the environment. It definitely smells super bad, as bad as dangerous compounds get inhaled in each breath. The waste inhaled may contain ammonia, antibiotic resistant bacteria, and also microscopic feces particles. Even before being consumed, it has already brought health risk to people. Imagine eating your dogs, can you do it? Definitely no, of course. As people say, dogs are men’s best friends, because they are considered as intelligent and loyal animals. But don’t you know, that pigs are more intelligent than dogs? Now, imagine eating more intelligent animal than your dog, can you still do it? A research done in 1990s showed that pigs are smarter than chimpanzees and dogs, both are considered as intelligent animals. Pigs are also proven to be able to master (not just merely pass) some cognitive tests, showing high IQ. Tests also have found out that in video games, pigs are better than some primates. They may also form some complex social networks among each other and other members of the farm and have excellent memories. 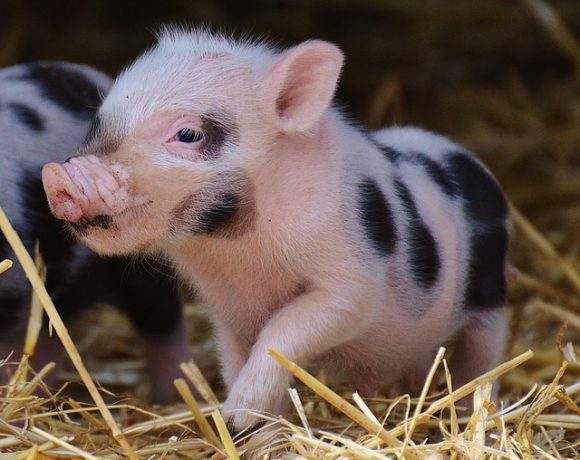 Pigs are considered to have the mental capacity of 3 years old human. Cameron Diaz, after hearing that fact even stated publicly that eating bacon is like eating her niece! A strong statement made by a public figure. So, after looking on those facts, do you still think that eating the savory strips worth your soul?